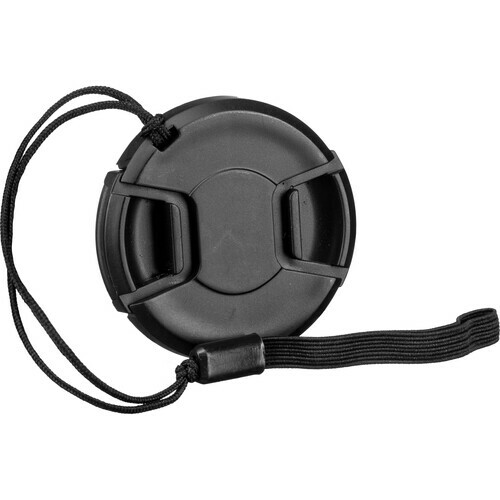 This B+W Pro Lens Cap is designed to fit on any lens or filter with a 52mm front diameter that can accommodate a snap-on lens cap. It utilizes a squeeze, spring, and snap-on mechanism for easy installation or removal. Lens caps protect your lens or filter from scratches, fingerprints, and the elements when the lens is not in use. To help ensure that this lens cap is not lost or misplaced, a built-in eyelet accommodates a cord for tethering to the lens it is used on.